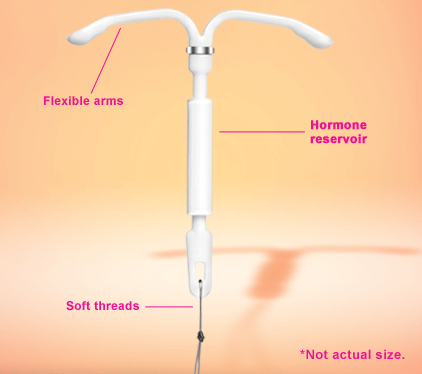 An IUD is a small, t-shaped plastic device with two soft threads that is placed in your uterus by an OB/GYN or healthcare provider. It is a quick nonsurgical procedure (about 15 minutes) and once the IUD is in place, it prevents sperm from reaching and fertilizing eggs. The IUD is over 99% effective at preventing pregnancy making it one of the most effective birth control methods available. Depending on the IUD you choose, you can have pregnancy protection from 3 years up to 10 years. If you decide that you want to get pregnant, the IUD can be removed at any time during a quick visit to an OB/GYN or healthcare provider. 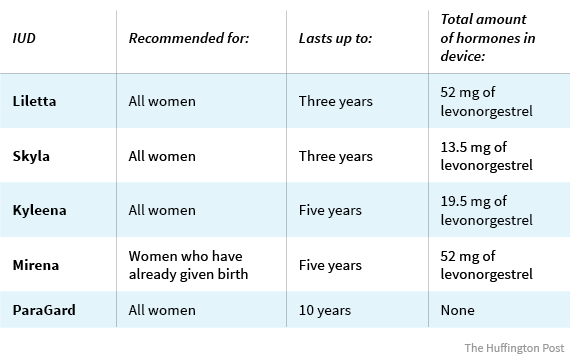 Hormonal IUDs work by releasing small amounts of the synthetic hormone levonorgestrel. Levonorgestrel is similar to the natural hormone progestin and it functions by blocking sperm and thickening the cervical mucus. Hormonal IUDs can also lead to lighter and shorter periods. Two types of hormonal IUDs are Skyla and Mirena. 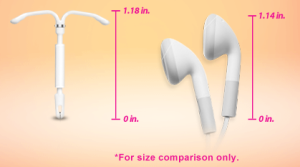 Skyla is the smallest IUD on the market. 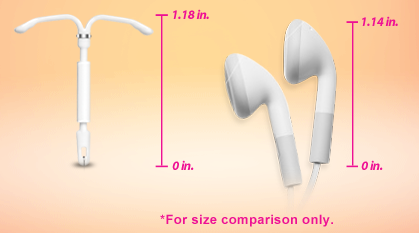 Skyla (1.18 inches) is about the size of an earbud (1.14 inches). It has been called the “little sister of Mirena” because it is smaller, contains a lower dosage of the hormone, and only lasts for up to 3 years. Because of its smaller size, Skyla has been intended to be more comfortable for teenagers and women who haven’t given birth before. 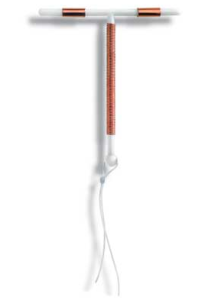 Mirena is the most popular IUD on the market. Mirena (1.26 inches) is slightly larger than Skyla and it provides pregnancy protection for up to 5 years. Another benefit of Mirena is that it reduces heavy periods. Non-hormonal IUDs work by releasing small amounts of natural, safe copper into the uterus. Copper is a spermicide and kills sperm on contact with them. 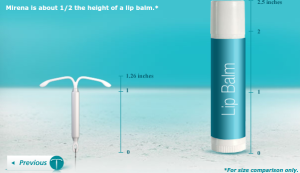 ParaGard is the only non-hormonal IUD currently available. ParaGard is 100% hormone free. This IUD contains a small amount of copper instead. ParaGard provides pregnancy protection for up to 10 years and will not alter your periods. However, ParaGard can lead to heavier periods or occasional cramping.